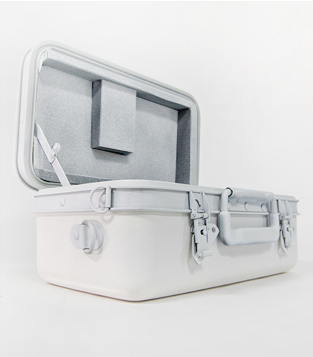 Thermodyne is the world's largest manufacturer of rugged customized shipping cases. Over the past 50 years, Thermodyne has become the trusted industry leader by providing exceptional protection and technical knowledge across every phase of our customer's projects. Thermodyne works with professionals, organizations, military and end users to custom design, build, and support many of the world's most complex and challenging transit case projects. 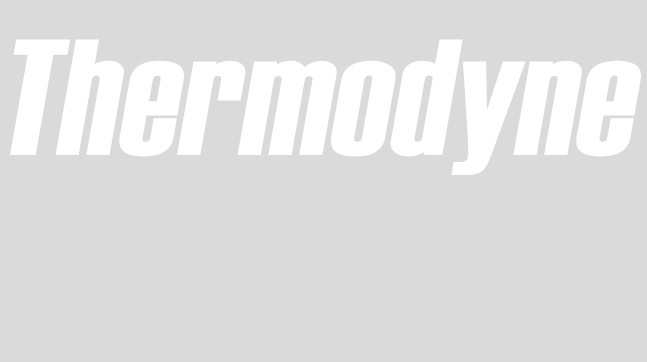 Consistently rated as one of the world's most reliable manufacturers, Thermodyne's primary objective is to develop, test, and manufacture protective solutions on schedule, within budget, and with operational & design excellence. The individual and collective expertise of Thermodyne's design & engineering staff provides cost-effective, intelligent solutions in a timely manner. Our dedication to our customers has made Thermodyne the first and only choice for more Fortune 500 companies than any other case manufacturer. When it comes to professional protection, Thermodyne is the only choice. 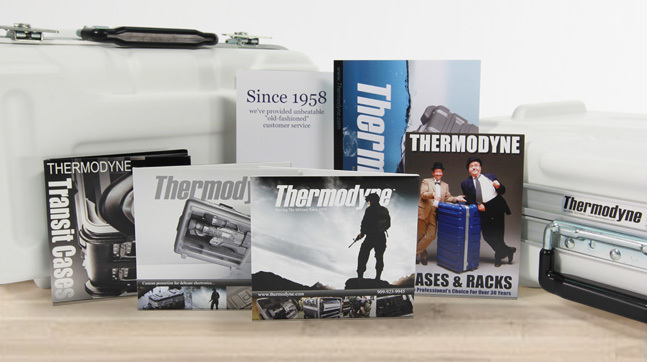 At Thermodyne, we took our strongest, most rugged shipping cases and have used them as a starting point. Not only are they still unbeatable, but we've designed and redesigned to make improvements in weight and functionality. All the while improving the resilience and strength. Continuous innovation has produced the ultimate line of shipping cases and rack mounts. Able to take an entire lifetime of abuse from luggage handlers, UPS men, dock workers and TSA agents. Safe, sound and secure. 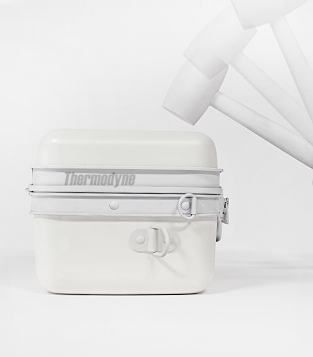 What you need most for your gear is what you will find in every Thermodyne case. The most advanced safety and security features like rugged strength-reinforced outer shells, strong all metal extrusions with aircraft quality mating surfaces and ultra-strong power-grip steel latches will keep your gear safe and sound. There are cases for the masses. And then there are cases for the individual. 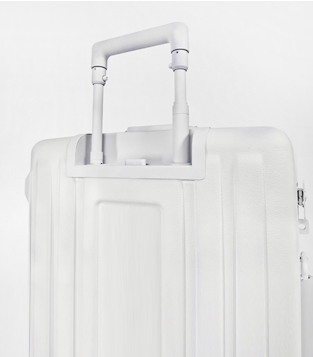 Thermodyne offers custom cases that are uniquely tailored to your specific equipment. They cradle and protect from harsh impact. They cushion and disperse where and when it's needed most. While typically thought of as a luxury, Thermodyne offers foam customization at no additional cost to our customers. Would you like to have your case in a custom color? Thermodyne can manufacture your cases in one of over 30 in-house variations or even match your company's exact Pantone color. Need a logo put onto your case? You got it. Logos can be stenciled, embossed or professionally printed onto our deluxe-quality labels. Standard lead times on logos can run as short as 24 hours for simple logos to a week or two for custom formed logos. Call us today to discover how easy it is to make our case your's. Our job is about you. Your equipment, your gear, your livelihood. Unlike other impersonal manufacturers, we take the time to listen to your needs and build a custom case that fits your lifestyle. While our competitors mass produce simple, heavy, generic cases with loose cubed foam inserts, Thermodyne manufactures sophisticated protection and gives you full access to our Engineering and manufacturing facility. Even if you only need one single case, we have you covered. At Thermodyne every customer is a priority. It's been that way for over 50 years and it'll be that way for another 50. Give us a call and talk to us about your needs. With over 500 sizes, we can find you a case that makes your job easier and protects your gear better than anything else on the market. Call 1-909-923-9945 and speak to one of our inside sales consultants. Based in Southern California, Thermodyne's manufacturing plant is fully ISO-Quality Certified and capable of running both large and small orders simultaneously. Delivering quick lead times on every order, no matter if you need 1 or 1,000 units delivered right away. Complete in-house operations allow for strict quality controls and permit our production team to monitor every order, each step of the way. Having an on-site Inside Sales department allows for real-time status checks and direct communication on every single order. Proper fit and finish are hallmarks of Thermodyne products. All extrusions are custom fabricated and welded in matching sets. While this requires more work, it gives Thermodyne a superior seal, stronger hold and tigher grip that other cases lack. At Thermodyne our assemblers only install military-tested and certified hardware. Even our consumer products get this same rugged hardware to ensure that, even under extreme conditions your equipment is kept safe and secure. It adds no weight, doesn't need to be serviced and will provide a lifetime of reliable service. Thermodyne offers more sizes than any other manufacturer, with over 50 years of tooling kept in-house. More sizes mean we have just the right size for your requirement. We offer case lengths from 8 inches on up to 20 foot in length. All inventoried and organized in-house to ease your selection process. Many applications require something other than foam support. Thermodyne's in-house machine shop specializes in machining custom parts and assemblies to secure and protect your equipment. Our 50+ years of experience in Aerospace and Military are unmatched in the industry. Our capabilities allow us to do everything from custom water-proof electrical housings to rugged shock-mounted platforms for delicate parts. All handled in-house, keeping control of lead times and ensuring the finest quality and workmanship. From aircraft quality aluminum to hardened steel, Thermodyne is a one-stop shop for even the most intricate & complex projects. We're passionate about what we do. Our team of Engineers and Designers can help meet any spec.